Progress so far . . .
I’m delighted to introduce the BSA December 2015 newsletter. Below you will find a report on the very successful social evening run with the Midweekers, along with various news snippets, a provisional sailing programme taking us into 2016 and articles from our team of contributors. Behind the scenes we have been busy putting in place the necessary elements required to run BSA as an Affiliated RYA entity. This has included completing the paperwork required for the insurance, so that BSA members volunteering in any capacity at the club (on and off the water) are covered by club insurance. I know that some people have raised an eyebrow at the mention of a risk assessment, but it’s just one of the items that need proper attention when you’re operating under the RYA. Luckily we have huge experience and capability on the BSA team and my thanks go to Tony Purkis and Rod Mackenzie for producing a straightforward and coherent first draft that can be taken forward. Sadly for me I haven’t raced for the last few weeks and will most likely be unable to sail until the New Year whilst I recover from a minor operation. However the usual die-hards have been down in Flying Fifteens and Lasers to brave some of the autumn blasts that have recently swept across the lake. We are looking to buy radios for the support boats and have identified this as a priority item. At present the support boats are managing with the resources they have, so we have decided to hold until after the New Year when the number of boats on the water starts to pick up. Also, the current Rigiflex boats loaned by Bewl Water Sailing are still the old green ones. Having spoken to BWS it seem unlikely that their new orange boats will be commissioned in the near future. In accordance with recent requests, our aim is to have the race results posted on a weekly basis soon after each Sunday’s racing. Likewise with the duty roster many people have asked us to post this on the website so that it’s easier to check the latest schedule. Please bear with us whilst we get these elements set up. Finally I’d like to thank everyone for the kind words of support we have received. 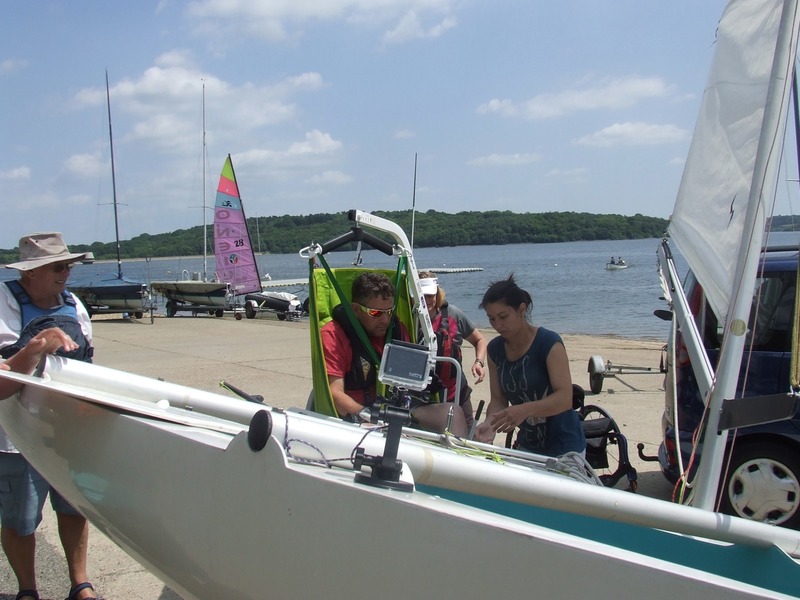 When we started BSA our stated aim was to enable safe and friendly sailing at Bewl for all sailors, whether it be cruisers, racers, windsurfers, youth or disabled sailors. I think with the huge support from everyone involved we’ve achieved this and are ready for anything that lies ahead. In a separate meeting with the new landlord “MarkerStudy Leisure” I was encouraged that they wish to support sailing at Bewl along with the other boating clubs. They are still formulating their plans which may not be clear until the handover date in early January. I hope to see you at Bewl over the coming weeks and would also like to take this opportunity to wish everyone a peaceful Christmas. I can’t wait to get sailing again. Save the Date: FAB (Fun at Bewl) camping week, 23 to 30 July. Could you and your friends organise an event suitable for anyone who sails at Bewl, for example, beating the bounds, rallies around the water, treasure hunts, pursuit races? To get Bewl working again, we need to ensure we can provide safety cover on the water. Recently, we've managed to deliver the PB2 Powerboat Certificate to BSA members at Weir Wood Sailing Club. We put our first four members through the training last weekend, and have a second course scheduled for 9/10 January. Weir Wood SC has been so helpful in re-establishing sailing at Bewl and are providing this course to BSA members for just £110 per person. At time of writing we only have three places left – so book now! For more information on the course or to book your place, contact Jason Perry at jason@theperryhouse.co.uk . Jo Mayes was one of our first members to complete the course in November, along with Paul Ponter, Neil Frances and Tony Purkis. Jo has written about her experience of the course below….. It is not unusual to set off sailing on a bright sunny day, but then notice the clouds build, the wind strengthen and, before long, the rain lashes down. In these situations it’s reassuring to know a support boat is on duty. These were the conditions four of us encountered at Weir Wood for our power boat course. The course was well-designed and we all had practice driving different types of boat in frequently challenging circumstances. We were continuously assessed and were given extra guidance when required. By the end of the weekend, I was exhausted, but also felt much more confident to handle a power boat in windy conditions. I know that the other three felt the same. If Weir Wood offer another course I recommend you seriously consider applying. As our sailing season comes to a close at the end of October, November saw Mariners of Bewl members dismantling a number of our fleet of dinghies, moving a few of them to our winter workshops and generally putting things to bed for the winter. Over the next few months the annual maintenance on all the dinghies (some requiring more work than others) will be carried out by members so that once again they are shiny and bright and in full working order for what will be our 27 th year, subject of course to our new landlord continuing to support the Charity’s aims and allowing us to remain at our base at ‘MoB Corner’. We are all also crossing fingers that the ‘tide’ will come in before April so that the wooden decked pontoon (vital access for a number of MoB members) can be fixed and reinstated. Let’s hope that accessibility and inclusivity will be on everybody’s agenda when looking ahead to another season of wonderful sailing on the best inland water in the South East. The Windsurfers have been out in force over recent weeks, enjoying the fantastic autumn winds. Last Sunday the wind was very strong and those who braved it had fun with smaller rigs. Keep enjoying the sailing, before it gets too cold. 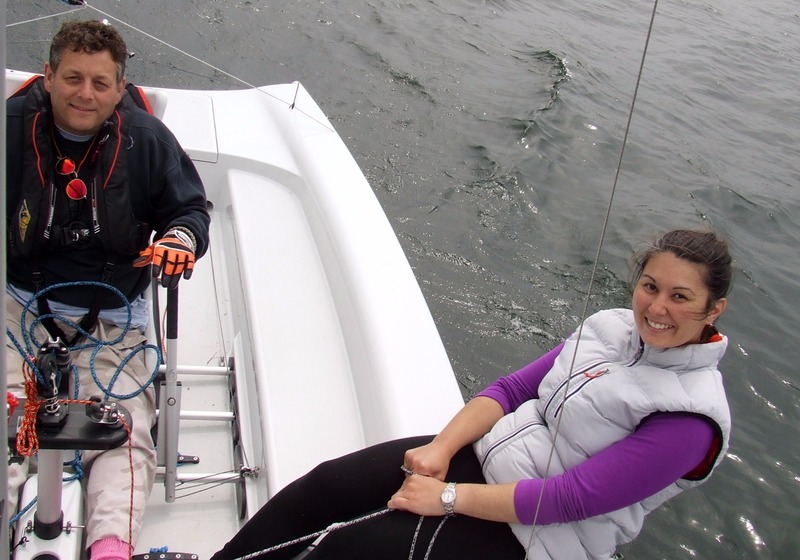 Over the past few months, we've started to re-establish youth sailing at Bewl. We now have five or six youth sailors on the water regularly. We have successfully encouraged some of our younger sailors into Sunday racing, thanks to Paul Ponter for his help and encouragement. And we have a regular youth sailing session on Saturday mornings between 10 - 1. The future of youth sailing at Bewl is already looking very positive. 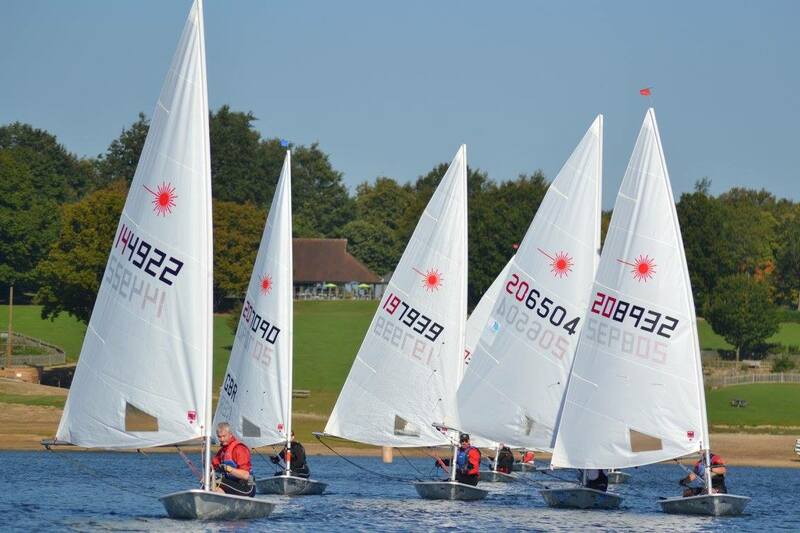 We have had an offer from a local charity to loan us six RS Tera boats to help get our younger members back on the water and we are expecting to be the inland training venue for the RS Feva class association this winter. For more information on the future of youth sailing at Bewl or if you think you can offer your help, contact Jason Perry atjason@theperryhouse.co.uk. Despite all the problems at Bewl there have been very few Sundays when boats have not been racing. Initially we had the buoys, but no flags and could use the race box; then we acquired flags but could not use the race box. So recently the start line has been between X buoy and a car parked at the end of a slipway! Below is a scene of racing at Bewl this autumn. Provided the race officer is confident and safety prevails, the fleets do not need to sail the same course, i.e. Lasers may prefer a shorter course, but still a single lap. I am willing to be race officer for the first 4 weeks when we can trial this, and you can shout at me if it doesn’t work. We know from your feedback that most sailors like to have support boat cover while they are afloat ; and we aim to provide enhanced cover at weekends (especially during Sunday racing) when we have the most boats on the water . To achieve this we need volunteers to man the support boats on Saturdays and Sundays so, if you can help, please contact Paul Ponter paul@oaktree-electrical.co.uk . Helms must be qualified to RYA Power Boat Level 2, but no experience is required for crews. We'd also love to hear from you if you can help with race management on Sundays. Again, please contact Paul if you can perform a Race Officer or Assistant Race Officer duty. No experience required for Assistant Race Officers. 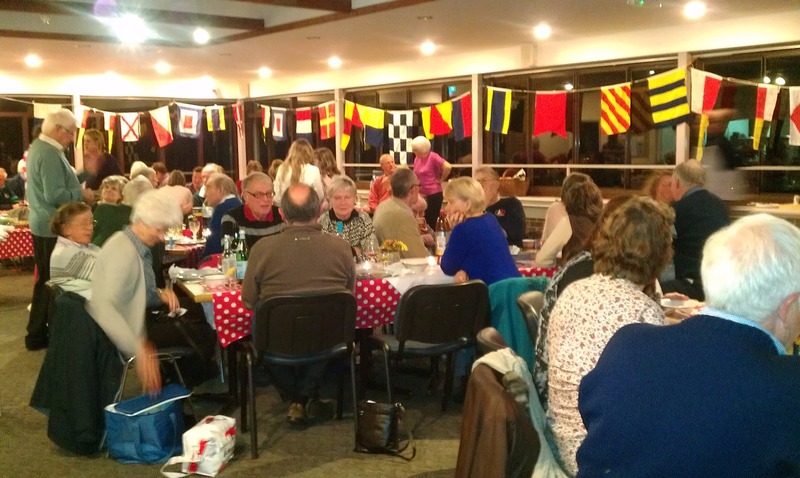 In order to put Bewl back on the map, Martin, Jason and Amanda attended the annual meeting of the Weald of Kent and Sussex Sailing Association (WKSSA), hosted by Chipstead Sailing Club. A presentation by our regional RYA representative, Steve Mitchell, outlining resources available to affiliated clubs was followed by a discussion on interclub events proposed for 2016. Each club was then invited to share information on membership trends, safety cover and other issues. In the course of this informative evening, we learned that the WKSSA has boats available for loan to participating clubs. The numbers sailing on Wednesday mornings continue successfully, and we adjourn to the Brown Trout after the sail. And alternate week walks (customary throughout the winter months) are equally well supported. 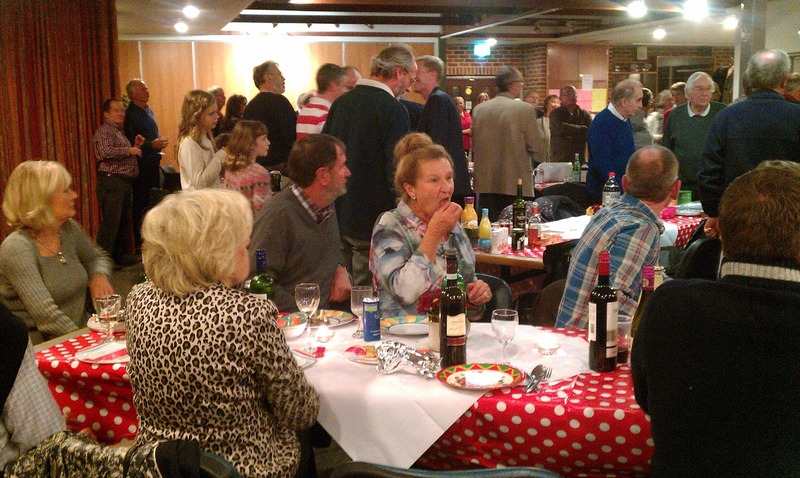 The November Get Together was a great success. Jen and Debbie (of Bewl Boating) had arranged for the clubhouse to be cleaned, so several of us turned up during the afternoon to decorate the former clubhouse. Jo Mayes provided some flowers to decorate the tables. Everyone brought along a dish to share, tea and coffee were available, and it was a great evening. I hesitate to say it was a Midweekers Success Story, but our numbers were numerous as usual. Thanks to everyone who helped. Our annual Christmas lunch will have taken place by the time this is distributed, thanks to a lot of hard work by Rosemary and Don. Graham is establishing an easy communications system, which even I expect to be able to deal with. If you've not already joined BSA, visit our membership page at www.webcollect.org.uk/bewl where you can join us for just £20.